More about JASCO’s scientific work: peer-reviewed publications, projects, and public outreach. Scientific publications by JASCO team members. A selection of JASCO’s acoustic monitoring projects. 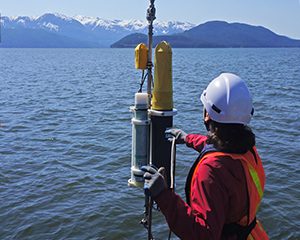 JASCO collaborated with the Vancouver Aquarium to bring smartphone-based playback of marine mammal vocalizations to The Whale Trail, a series of physical sites along the Pacific Northwest where the public can see orcas and other marine mammals from shore.